Large Pocket Knife with Scissors. 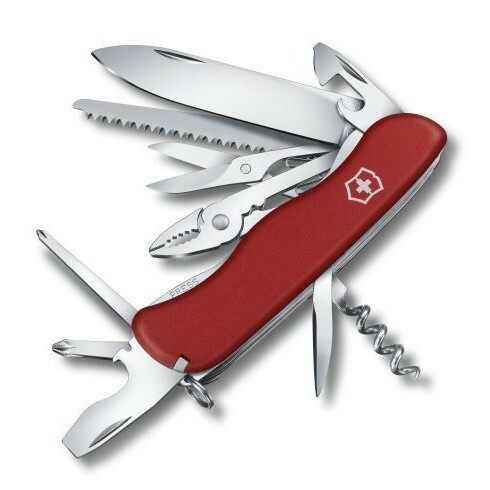 Small, yet mighty, the Hercules is Victorinox's pocket knife with super strength. A natural multitasker, it packs a powerful 18 functions into its compact size. Think of it as your take-anywhere toolbox. Integrated combi pliers, a long and thin Phillips screwdriver, reamer, punch, wood saw, scissors and a larger blade are just a few of its powers.